Hi guys! 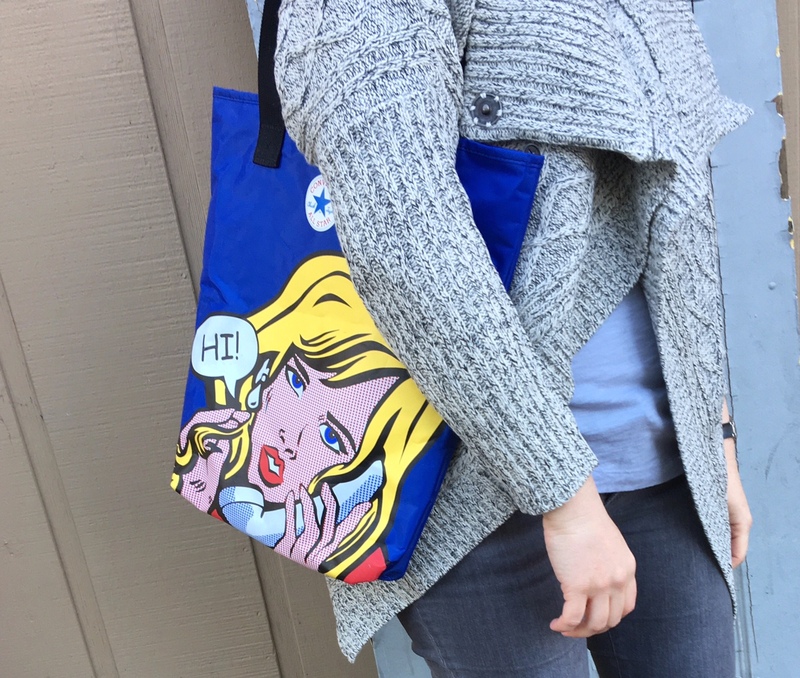 Today a post about a fun way to introduce some interest and color to any look (whatever your personal style might be) via pop art prints. I love this old Converse tote, which was a gift from a couple friends while visiting Poland a few years back… It has a special place in my heart for that reason alone, but also because this print just makes me smile too. Such a fun way to add some color and visual interest to even the most basic look. Here, I am wearing my favorite pair of skinny jeans, a slouchy cardigan, black ankle boots and this bag to make my outfit pop! Would you were a pop art print? Wearing: Converse tote (old, similar here and here); Research & Design cardigan; Madewell tee; Anine Bing jeans (old, similar here and here); Vince ankle boots (old, similar here). ; Swatch watch.